He made his IPL debut for Kings XI Punjab in 2014. Axar Patel has been one of the brightest all-rounders doing the rounds in Indian cricket. He made his international debut in an ODI against Bangladesh at the iconic Sher-E-Bangla National Stadium in Mirpur in 2014. In the very next year, the Gujarat-born cricketer made his T20I debut against Zimbabwe at Harare Sports Club. However, he hasn’t quite been able to show enough consistency. Subsequently, he couldn’t feature in the national team on a consistent basis. His last donned the national colours in the T20 series against South Africa earlier this year. He has, thus far, represented his nation in 38 ODIs and 11 T20Is. 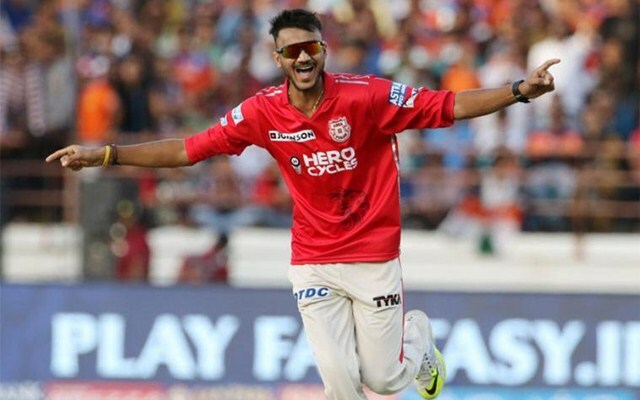 Apart from his career for India, he also has had the privilege of playing in the prestigious Indian Premier League (IPL) for Kings XI Punjab (KXIP). He impressed the franchise with his all-round prowess and went on to play 68 matches for them in which he managed 686 runs and 61 wickets. Ahead of last season’s auction, he was the only player to be retained by Kings XI. However, going into the upcoming edition’s IPL, he was released. Patel was listed at a base price of INR 1 crore and he went for a whopping INR 5 crore. Punjab tried to buy him back and they were involved in an intense bidding war with Delhi Capitals, who are yet to get their hands on the coveted IPL trophy. Eventually, Punjab threw in the towel and the Capitals, captained by Shreyas Iyer, bagged his services. In the meantime, Axar thanked Punjab for the glorious stint ever since his IPL debut. Moreover, he also expressed his excitement of representing his new franchise.